Ginko Biloba Capsules are specially formulated using standardised Ginko Biloba extract concentrate with a high level of Ginko Flavonoids, the active constituent that helps maintain a healthy heart and good blood circulation to the brain and body extremities such as the hands and feet. 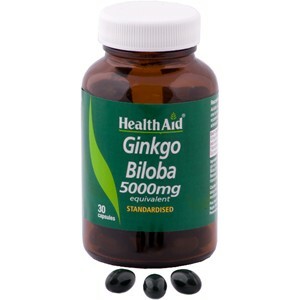 Thank you for your interest in HealthAid Ginkgo Biloba Extract (GB 5000) - Standardised Capsules . Enter your email and we'll contact you as soon as it's available again.